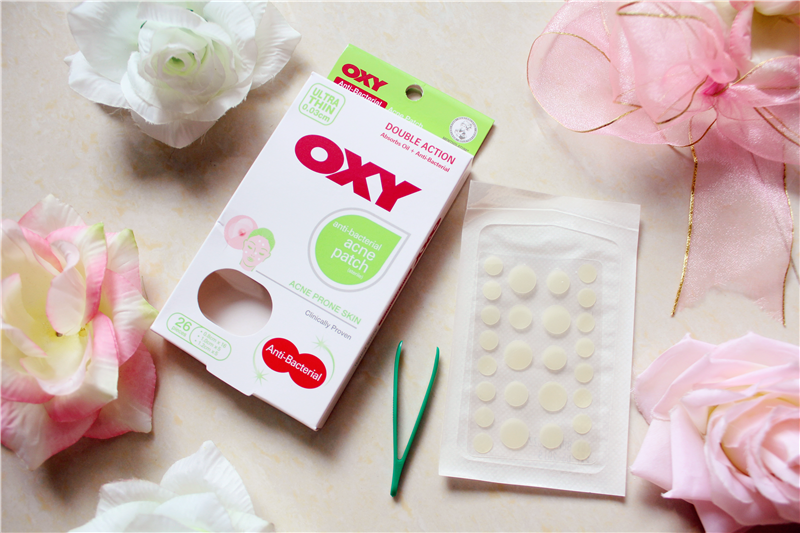 OXY Anti-Bacterial Acne Patch is made with medical grace hydrocolloid thant effectively inhibit acne bacteria, absorb oil and pus inside pimples like a sponge, which helps to enhance pimple recovery. Not forgot to mention, this product was also comes with UV as well. The ultra-thin design of 0.03cm is translucent and close to the skin color, which makes it blends right into skin and isn't very noticeable. Personally, what I like that it comes with many sizes and is in clear so it looks good on daylight. Basically it still semi-visible unless someone really spot on my face. I tried it on, it works perfectly on my acne. Anyway, sorry in advanced for the picture. 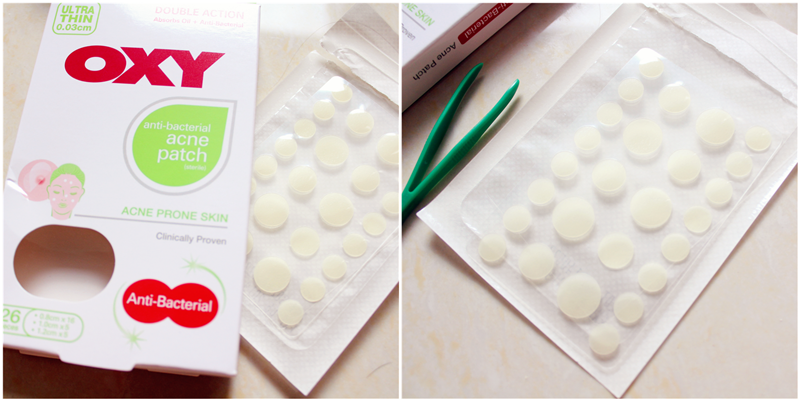 Actually I used before my acne was 'mature' but I just forgot to take picture, the pictures above was just a simple guide on how to use it. If you're OXY user especially on their famous OXY 5/10, did you feel a little painful when apply on acne spot like I do? I did! But the result was amazing. This is the reason why I a long-term user of OXY 5 when I'm a teenager. 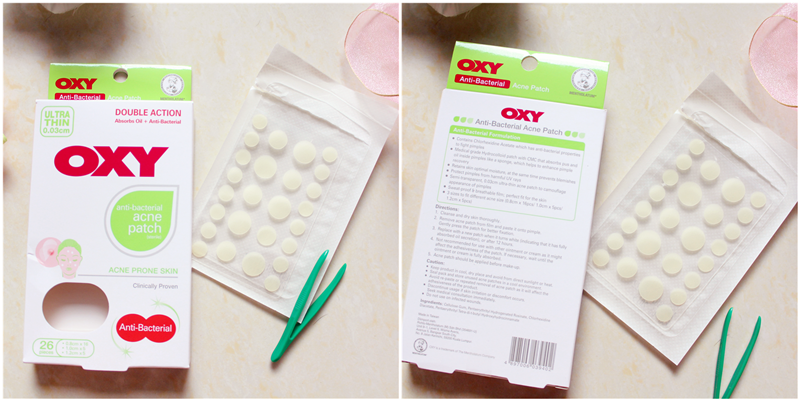 For result, OXY Anti-Bacterial Acne Patch works exactly like OXY 5 but the different was it does not gives me shock painful feeling when paste it on my acne spot. I barely feel and it just like a sticker on my face. Giving this patch a thumb up! 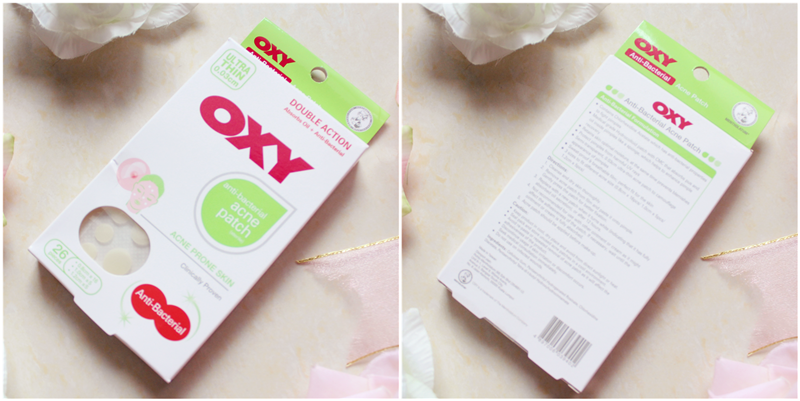 OXY Anti-Bacterial Acne Patch is a gentle yet effective acne fighter. 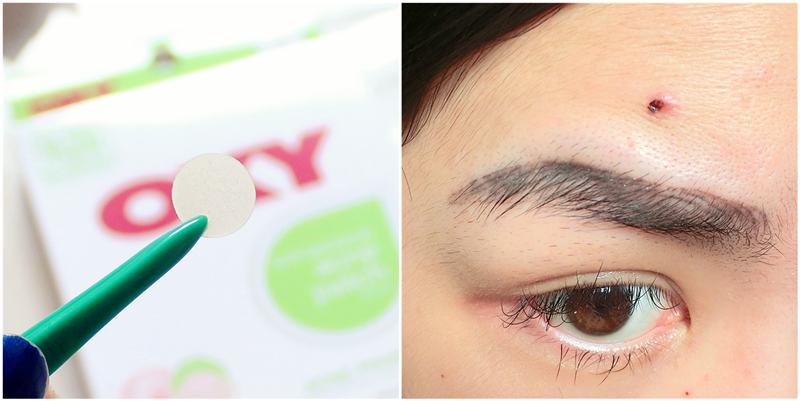 I love the thinness with only 0.3cm and comes with three sizes of selection (0.8cm, 1.0cm and 1.2cm). Besides that, it barely see under daylight unless someone carefully spot my face. 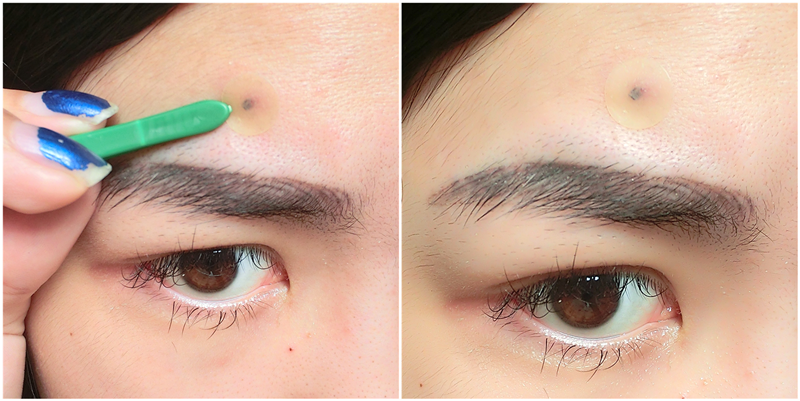 I never try to put on foundation on top of it so I have no idea either this patch can be cover or not, lol. Another point I love this patch was it comes with UV protection that helps to prevent the sun's UV from aggravating the inflames acne. Other than that, this patches also sweat-proof and waterproof as well.